A week after Ronaldo Mouchawar sold his Dubai-based online retailer Souq.com to Amazon in March 2017, he appeared on stage at the STEP Conference. In front of a packed house of 2,000 at the Dubai International Marine Club, Mouchawar regaled the crowd with a detailed account of what it took to develop Souq before closing a $580 million deal that altered the Middle East’s startup landscape. Watching on the sidelines was Ray Dargham, the 27-year-old co-founder and CEO of STEP. Only a few years earlier, he was a student at the American University of Beirut, organizing small workshops that covered topics such as leadership and entrepreneurism, in his free time. Now from Dubai headquarters, his conference has become one of the most influential tech events in the Arab world. Each year, it brings together entrepreneurs, investors and industry experts from around the world to explore the impact of technology on media, entertainment, finance and other industries. Its agenda showcases hundreds of startups, business plan competitions, panels and concerts. With a minimum entry fee of $300 (or $150 if bought in advance), the two-day event attracted more than 5,000 attendees last year, including speakers Mudassir Sheikha, cofounder of Careem, entrepreneur and venture capitalist Fadi Ghandour and U.S. entrepreneur and author Chris Schroeder. Also present were representatives from Facebook, Buzzfeed and Hyperloop One—altogether a crowd coveted by advertisers, from Cadillac and Pepsi to du. Propelling STEP is the growing interest in tech startups in the Arab world. It’s far from the only such summit in the region: there’s RiseUp Summit in Cairo, GITEX in Dubai and events held across the region, like Arabnet, to name a few. But, STEP is kind of TechCrunch and SXSW of Austin, Texas rolled into one—a tech festival with a media arm. 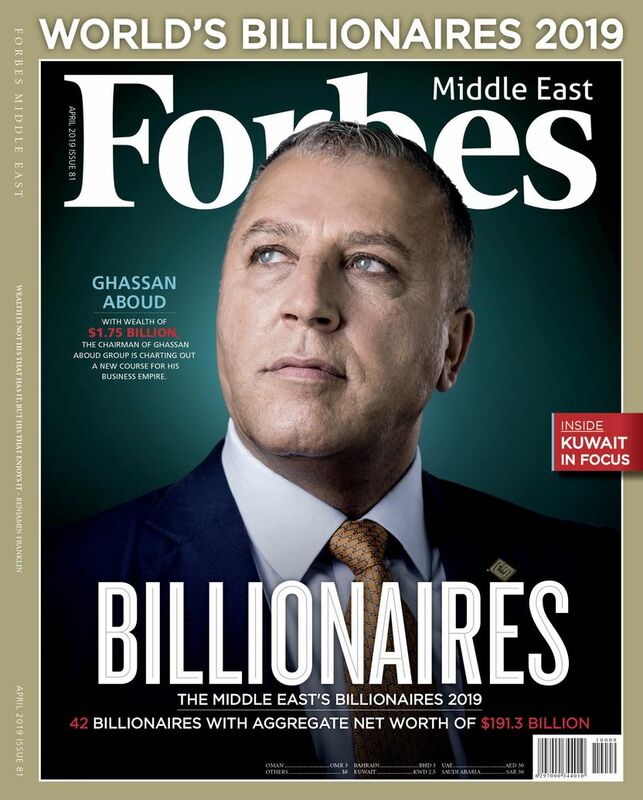 “It’s one of the most impactful businesses you can be a part of, especially in the Arab world,” he says. In partnership with Lebanese music streaming startup Anghami, Dargham launched last year STEP Music, a networking venue for the music industry held the day after the main conference. It included a lineup of concerts featuring bands like Lebanese alt-rockers Mashrou’ Leila. STEP Music followed the creation of online media sites Stepfeed.com and Yallafeed. com, aimed at Arab Millennials, as well as the acquisition of video platform Arab Vines. Together they attract 3 million unique visitors per month, 70% under the age of 35, and 50 million video views per month. Dargham has capitalized on traffic by offering advertisers a platform for branded content, and hopes to reach profitability in the next two years. A year ago, he got a boost when Wamda Capital, EquiTrust, Dubai Silicon Oasis Authority and the VC firm North Base Media invested $2 million in STEP. “There are 400 million Arabic speakers with a massive dearth of appropriate content for younger audiences,” says Turi Munthe, a London-based partner at North Base Media. As advertisers target this demographic online, he thinks STEP Group is well positioned to capture those ad dollars. The company now has 37 employees split between Dubai and Beirut. In many ways, this Forbes Middle East 30 under 30 honoree learned his father’s trade. Dargham senior worked for Al-Iktissad Wal-Aamal, a Beirut media company, which also organized events like the Arab Economic Forum. He often attended those conferences. Dargham became interested in entrepreneurship when he participated in a three-month program organized by INJAZ, a non-profit organization that promotes youth education and training in the Arab World. Dargham and his high school classmates had to come up with an idea for a business. They developed a business selling bumper stickers. He was so absorbed by the project that he skipped classes. In 2008, he enrolled at AUB, majoring in economics, and kept informed on what was happening in places like Silicon Valley. A startup scene had yet to emerge in Lebanon. He also joined Toastmasters, a global organization that teaches public speaking and leadership skills. He discovered he had a talent for public speaking. “What I had was a skill set that I could sell,” says Dargham. He started organizing and selling tickets to workshops, which he hosted at art galleries to make them more appealing, and recruited Bahaa Moussalli, an old high school friend, to help him. The workshops generally attracted about 30 people. But Dargham sensed a larger opportunity. Private equity firm Abraaj had organized an event called the Celebration of Entrepreneurship in Dubai. The event generated buzz, but it was a onetime conference. “Nothing happened afterwards,” says Dargham. 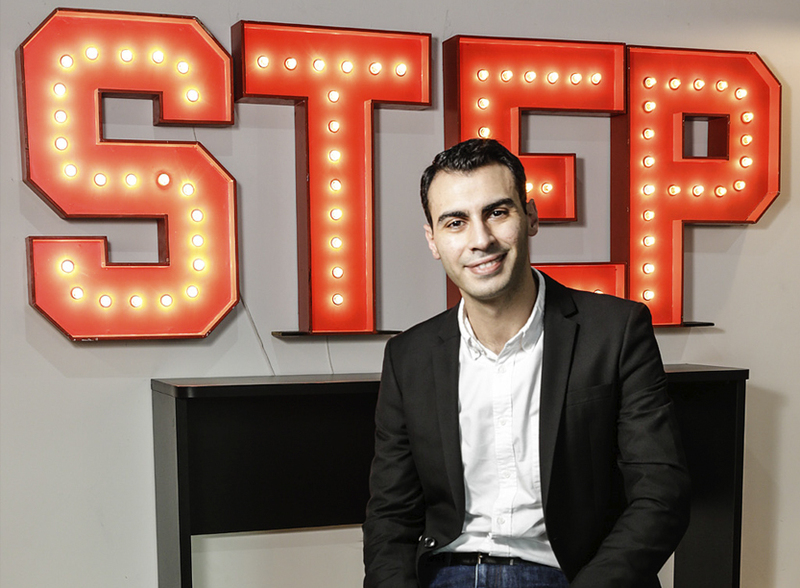 Instead of applying for jobs during his final year at AUB, he conceived the STEP Conference. Five days after graduating in 2011, he moved to Dubai. It helped that his older brother lived there, where he worked in advertising. To fund his idea, he formed a company, with support from his brother. The new venture helped brands improve customer engagement using media and technology. Dargham secured clients such as Rotana, which allowed him to hold his ﬁrst small event in 2012 in a co-working space. Two volunteers helped out. The half-day event centered on topics such as accelerating entrepreneurship, empowering women in business and the impact of social media in the region. They managed to assemble a modest lineup of speakers, headlined by Kris Fade, a prominent radio host in Dubai. Dargham had met Fade at another event previously, and reached out afterwards. The amicable radio host agreed to come, and even waived his usual speaking fee. Dargham cashed in a favor with friends who ran a production company to develop a video to promote the event. “It was a pretty cool video, it was like the only asset we had at the time,” he says. Mostly though, he resorted to calling friends and acquaintances, coaxing them to buy tickets. Just over 100 people showed up. “That’s how it had to be done at the beginning,” says Dargham. Nevertheless, feedback from the event was positive. Conﬁdent he could secure a bigger crowd, he moved the conference to a larger venue in a warehouse the following year. Some 250 people attended. Despite the growth, Dargham’s conference barely survived. “The conference lost a lot of money in the ﬁrst three years,” he says. The idea of shutting it down crossed his mind. 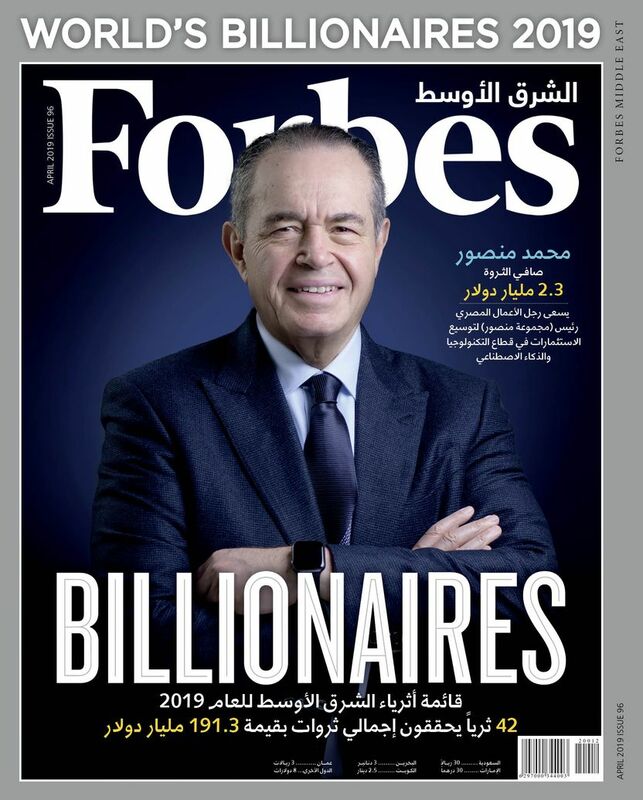 Still, he convinced Moussalli, who was still in Lebanon, and another friend, Nizar Fakih, who had recently left a job in Qatar, to become co-founders. At the same time, Dargham began attending other similar events, hunting for new ideas to add to STEP. He travelled to Dublin to visit the Web Summit, an annual tech conference that attracts tens of thousands of people. He soaked up the surroundings. “I had my phone [and] I’m taking pictures of the ceiling and the ﬂoor,” he quips. Dargham liked how Web Summit offered a showcase for startups, where companies set up booths and exhibited. He took the concept back to STEP and added it to the conference in 2014. That year, fewer than ten companies exhibited at the event, but he sensed promise. With his conference gaining momentum, Dargham felt the time was right to launch the media platform that consisted of websites such as Stepfeed and Yallafeed. He concedes that media is a tough business to be in, especially for a startup, but he still sees great potential in it. Youthful optimism, perhaps—but it wouldn’t be the ﬁrst time Dargham was thinking one step ahead.